Aside from deaths and injuries, numerous houses collapsed with people trapped inside. The power lines were cut down leaving homes without power. The damaging winds of the storms uprooted trees, toppled roofs and tossed cars. What is a tornado? It is a whirling and rotating air at high speeds and with a funnel-shaped cloud progressing over the land. This destructive storm has powerful winds that move around a central point. When did the most horrible tornado happen? On March 18, 1925 – the most horrible tornado in history was recorded. It set in motion from south eastern Missouri then headed to southern Illinois down to Indiana for about 3 and a half hours with a speed of 62 miles per hour. It damaged 15,000 houses and swept away cars and trees into the air. It killed around 700 people and injured about 2000 residents. 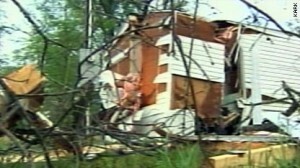 News Update: April 17, 2011 – Six states in the southeast have now been affected by the powerful storms. More than 40 people are now believed to have been killed in the last three days according to the authorities. One meteorologists described the situation in North Carolina as an “epic event” – a total of 90 tornadoes occurred just for this period, whereas the state usually gets 19 tornadoes a year. The super cell storms left trail of damages to properties and power lines from parts of Midwest and South and now heading to East. I like the valuable info you provide on your articles. I’ll bookmark your blog and test again here frequently. I am slightly certain I will learn many new stuff proper right here! Good luck for the following!